MicroStrategy has come up with its newest version of the platform, Microstrategy 11. The recent version which was released on 7th January 2019, and it introduces many new ground-breaking enhancements and features. These new features are going to make all its users, including administrators, analysts, data scientists, developers, consumers, and even business users, quite happy. As quoted by the top management of the company, the new features fall within three main pillars, which are- Hyper intelligence, Federated Analytics & Transformational Mobility. What’s New in MicroStrategy 11 ? Microstrategy is a software vendor providing Business Intelligence application solutions. 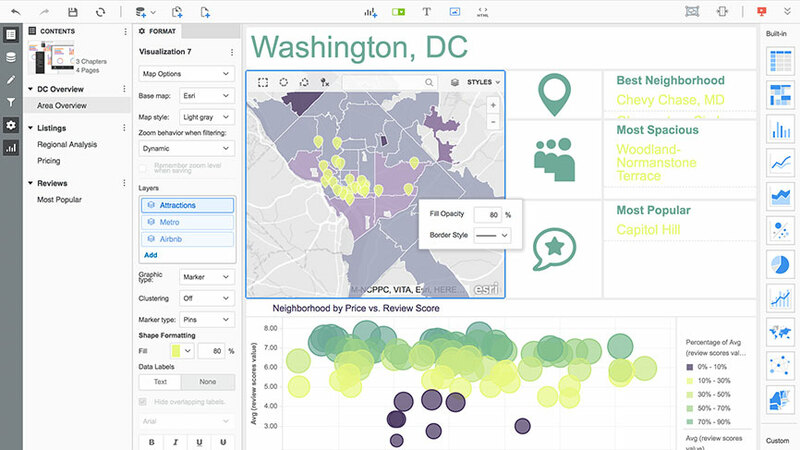 It is a powerful tool for data discovery and analysis. The enterprise BI application possesses robust dashboards, formatted reports, scorecards, query handling, and automated report generation. The software puts the Business Intelligence in the hand of the user making them responsible for it. This helps the user to be self dependent when they need analyses or reports of various data sets rather than being dependent on IT companies. The software works on all the interfaces including web, desktop, and also has the feature of MS Office integration. 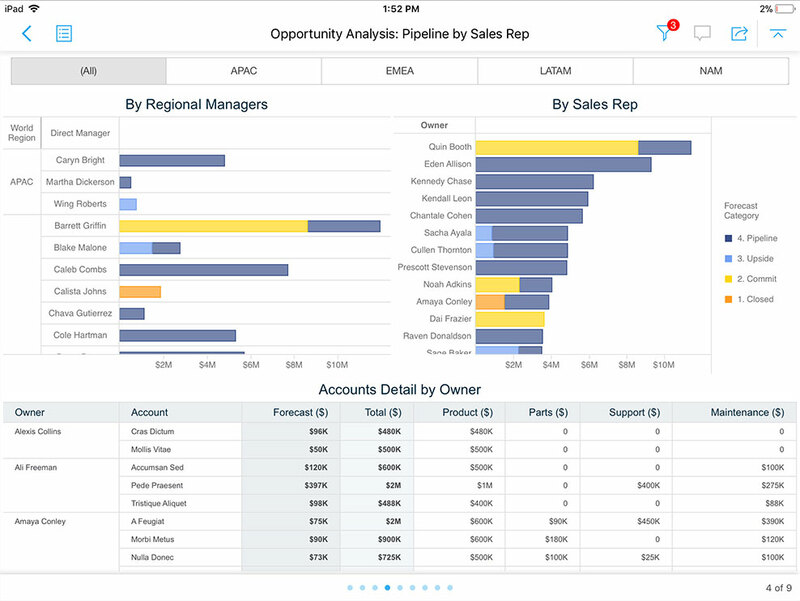 The mobile version supports mobile based business intelligence. The business users can get smart automated recommendations for report documents. They also get the bookmarking option which helps in saving frequently used files quickly. 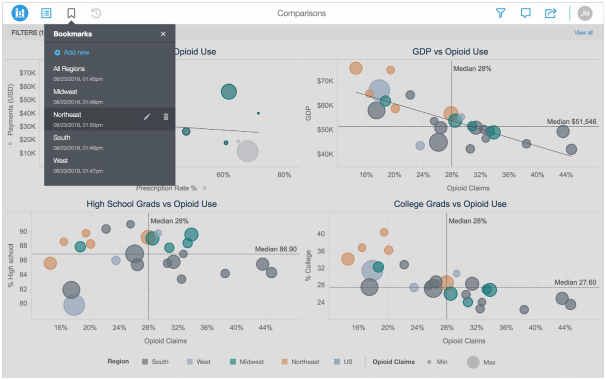 Analysts get a major boost with the introduction of Natural Language Querying (NLQ) which lets them build graphical visualizations. These can help them in deducing insights from MicroStrategy by simply typing a Google-like question. With the help of Artificial Intelligence, MicroStrategy 11.0 makes smart recommendations that may solve your query. Apart from the availability of NLQ, the latest version also comes up with new connectors which can be used with 30 cloud based applications. Developers, on the other hand, will get more APIs and resources in the library which will help to personalize and embed the content in a robust manner. The data scientists get the benefits of the latest integrations of programming languages such as R & Python with the help of mstrio. For the administrators, with the help of real-time telemetry, they can understand the usage of the MicroStrategy in a much better way. The latest version of MicroStrategy is currently available for download from the official website of the company - software.microstrategy.com. The desktop version is also available on the website and the respective apps for iOS and Android on the app stores. The latest version MicroStrategy 11.0 will be supported till 31st of March of 2019 and is recommended for environments that upgrade with every feature release. Enhance your IT skills and proficiency by taking up the Microstrategy Training. When the business users check dossiers( a collection of documents about a particular topic/ person) in the available library of documents on MicroStrategy, the application remembers the last closed page and returns the same when the user comes back. This provides the users with personalized views without making any actual change in the dossier. In the latest version, users have the option to create different bookmarks, and they are also allowed to change the canvas selectors without making any permanent change. This makes navigation easy and the user does not have to reapply the edit time and again. Just like on the web, users on the phone can also bookmark in their respective dossiers and get an option to switch between the view and filter mode. They get the option to bookmark the dossier even when offline and the view their intended state. Along with the availability of recommendations for Dossiers, they are also now available for Report Service Documents. It makes it convenient and simple for the users to find relevant insights by recommendations for content. This not only helps the users in getting new content but also helps them in discovering new insights. Now, with the latest update, even the Smartphone users can search for dossier in their library, a feature which was earlier available exclusively for tablet users. Moreover, iPhone X users also get a beautiful, super retina display. This allows the user to take the leverage of various Apple technologies including the Face ID, among others. With the MicroStrategy 11.0, finding data has never been easier. The latest version adds in new features and enhancements which can provide a lot of new benefits to analysts. They are as follows. After the latest upgrade, analysts can just type in their questions like a Google query and get the most appropriate result from the AI based MicroStrategy. For example, an analyst can simply type in “what is my top-line?” in the search tab and get an appropriate visualization of the same as a result. These visuals are generated automatically and can be edited and formatted according to the choice. The option of Natural Language Querying (NLQ) is available across all the interfaces. 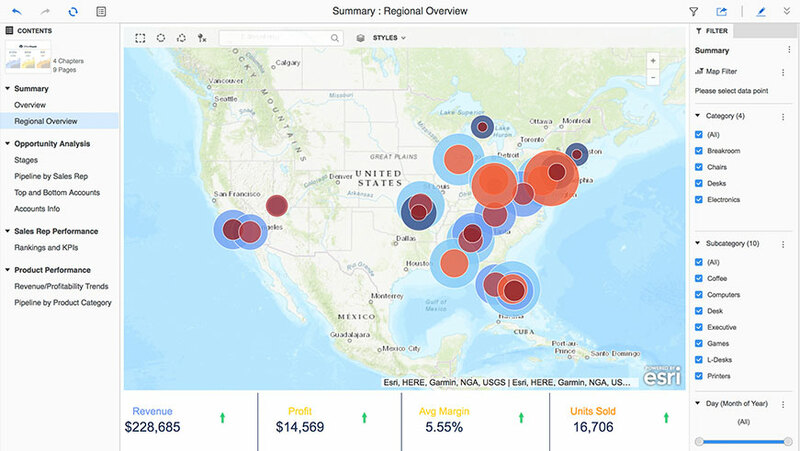 The latest version uses Artificial Intelligence extensively in order to help the analysts find insights. It also recommends new questions and terms below the search bar, thus, making the analyst more flexible and powerful in the process. The latest version also comes with a new default theme. This theme is available across all the platforms and provides default settings for colour, font, and other attributes. With this advancement, MicroStrategy allows the users to check the details of the query on the dossier. It also shows the execution time for all the visualization on the application, a function which helps the analysts in determining the reason for longer execution times. The latest version also allows a new out-of-the-box visualization which helps the analysts to keep a track on the KPIs. It allows the analyst to break down the KPIs according to specific attributes, like region, product etc. MicroStrategy 11.0 offers more options to the users while getting started with dossiers on all the interfaces. It also gives the liberty to choose between connect live and in-memory access mode. With the update, the company has also come up with support for cloud based applications such as Hubspot, Eloqua, etc. The connectivity is now extended to 30 new applications allowing the users to connect to renowned cloud based applications. The new MicroStrategy provides telemetry capabilities which are unmatched. These can help the administrator using the software to get an idea about the usage and behavior of the users. They are as follows. It helps the administrators by presenting them with the real time data usage on the platform. This helps them keep a track of the system’s health. The platform analytics helps them to get a holistic view of the system, helping them keep the power in their hands. The administrators get details about patterns, resource availability, execution times, and the rates at which error occurs. Just like an enterprise manager, it is also accessible through a dedicated application meant for monitoring. The Platform Analytics available in the new version is accessible through all the interfaces and has several pre-built dossiers which help the administrators to understand and analyze the environment. 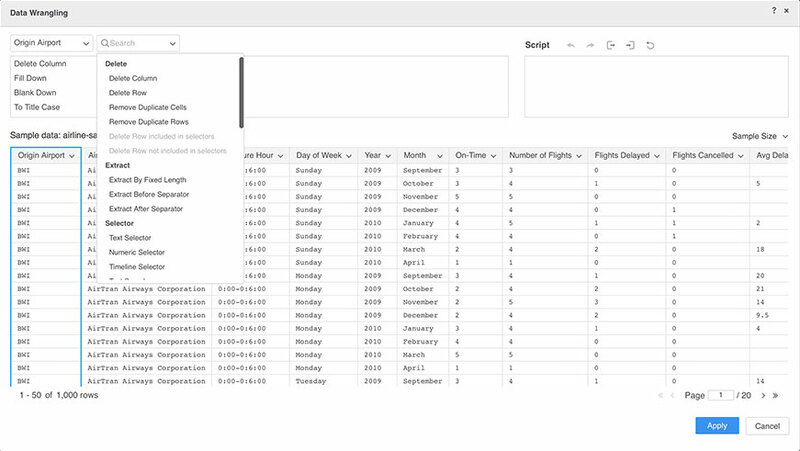 The latest feature of Platform Analytics takes care of the telemetry data by embedding the information directly into the desired dossiers. 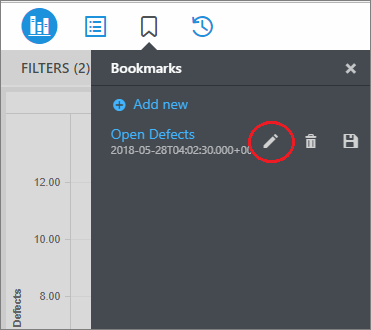 Administrators can access the telemetry just with a right-click on the dossier and then clicking on the “Get Info” option from the subsequent menu. Information that can be tracked through this tool includes execution time, top users, trends, report runs, number of error and much more. Just like information, administrators can also keep a tab on the information at the application level simply by right-clicking on the needed application. It can help them in gaining knowledge about the number of dossiers, documents or reports, the most accessed objects, etc. Accessing the latest tool of Platform Analytics requires the set up of a warehouse and loading of the required telemetry data. The warehouse can store data across all the situations. This can also help the administrator to pool in data from different objects into a single platform. This helps them to have a single reference where they can gather all the telemetry. With the use of Platform Analytics, the administrator can get access to all the telemetry dossiers available in that particular interface, thus making it easier for audits. The new version also allows the administrators to grant the “Use Mobile” privilege to all the users they wish. If they disable it, a “Permission needed” message will pop-up to the user where they will also have the option to send a request to the administrator. The workstation was introduced in version 10.10 of the software and is extremely helpful when it comes to single point administration and development. Because of the latest update, administrators can now access clients on both Mac and PC. The new features with Workstation are as follows. The latest update allows the administrators to manage users and data models more effectively. The latest additions also allow the administrators to track and maintain their environments. The development will also allow the users to have a graphical interface which has the details of all the nodes within their environment. This helps them to keep a track on the current condition and performance of each and every node. The MicroStrategy 11 allows the users to see all their certificates at a unified location alongside details about the location and the expiry date of the same. It provides them with the option to download the certificate as well. Before the update, there was no data validation on dossiers and documents which used to require manual testing. But with 11.0, administrators can directly execute comparisons of data for both the attributes. This makes the task of regression testing relatively easier and more efficient. The MicroStrategy Usher now allows the administrators to provide the users with a range of different methods to log in. They can set the method in a pre-application manner. Single Sign-Off helps in improving the convenience for the users along with the security by keeping them logged off on all applications. Users have the option of logging out of all the applications in a system as they get a reminder of the applications they need to manually log-off from. The new Usher provides a more customized user profile which in turn provides flexibility to the users to add information that they need. The integration of information which is valuable to the organization helps in increasing productivity. The latest upgrade also supports new languages including German, French, Spanish, Italian, Portuguese (BR), Dutch, Polish, Swedish, Danish, Korean, Japanese, Simplified Chinese (CN), and Traditional Chinese (TW). This is extremely helpful in providing the administrators the option to label box and fields with their own chosen language. The new Administrative Features with MicroStrategy on AWS are following. The new MicroStrategy comes with a robust account management page which allows the users to perform a range of functions, including the option to manage, share, and configure their AWS accounts. This makes it convenient and easy for the administrators to track the environment. Because of all these enhancements, it is now pretty easy to switch users, get support, give feedback, change languages, and perform a whole lot of other functions, making the life of users and administrators smooth and hassle-free. With 11.0 customers can now move the deployments into a host of new cities including Northern Virginia and Ohio in US East, Northern California and Oregon in US West, Ireland and Frankfurt in Europe, and Singapore, Sydney, Seoul, and Tokyo in the Asia Pacific. The new features for data scientists are as follows. The new MicroStrategy comes with mstrio feature that helps the data scientists to smoothly integrate programming languages like R & Python into the application. This unique feature allows the users to divide the MicroStrategy in small in-memory cubes from the data available in the mentioned programming languages. After that, the data can be extracted directly from the cubes to the application. Mstrio also helps in making predictions and other insights which are driven by Artificial Intelligence. The new updated version of MicroStrategy provides numerous benefits to its users, especially the developers. The new features for them are as follows. The introduction of the latest APIs in the new version allows the developers to customize & embed the applications according to their choice. The MicroStrategy library is a central hub for users to find all the content including data, information, and dossiers they want. Now the users can white-label and configure the library according to their choice on the web itself. The use of Library SDK to customize MicroStrategy Library is one of the prominent features of the new version. This feature allows the users to add their company logos, change the appearance, fonts or icons, among a lot of other things. In the previous Microstrategy 10 version application, the library could not be customized when the library view of a dossier was added to the custom application. But with the recent upgrade, users have the ability to hide or show the library toolbar. They also get the feature to add or remove menu icons, title bar, filters, and settings. Users now also have the option to freeze the panel to left or right of the application. These enhancements help them with more flexibility and ease of use. The new SDK gives the businesses the avenue to have different department based versions of the app. It allows them to customize the name, icons and the appearance. 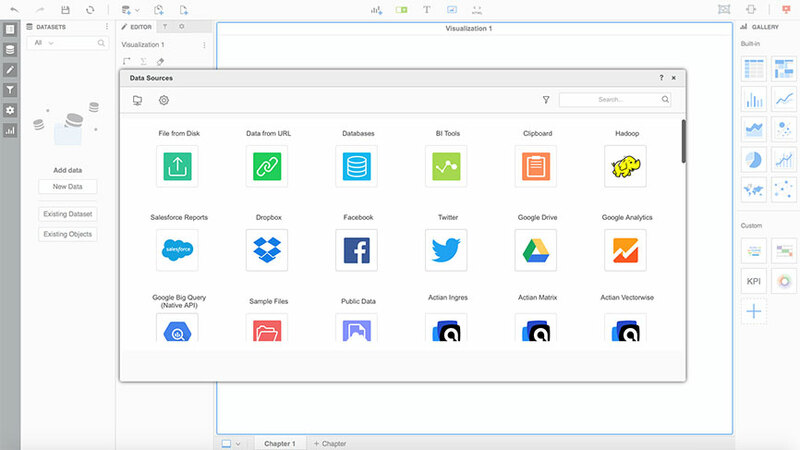 The customized library apps on MicroStrategy can be shared via mail, app stores, or EMM vendors. The latest SDK is certified with airwatch by VMware, Blackberry, and MobileIron. On top of that, the MicroStrategy Mobile and Library apps on both Android and iOS are designed keeping in mind the configuration guidelines. Explore MicroStrategy Sample Resumes! Download & Edit, Get Noticed by Top Employers!Download Now! MicroStrategy Desktop and Mobile is a free to use tool which can be used for data discovery and helps in bringing this data to life using powerful analytical tools available on the platform. With the Desktop applications, users get the opportunity to prepare, check, manage, join, and blend data which in turn provides valuable information through the means of insightful visualization on the dashboard. The MicroStrategy 11.0 upgrade allows features which are sure to make the life of organizations and users much easier, providing them with access to a plethora of functionalities. Soujanya is a Senior Writer at Mindmajix with tons of content creation experience in the areas of cloud computing, BI, Perl Scripting. She also creates content on Salesforce, Microstrategy, and Cobit. Connect with her via LinkedIn and Twitter.